out and can take no more Dahl..."
Clare Grove’s exquisitely illustrated book ‘My Mummy Loves Shoes’ is guaranteed to bring a smile to the face of even the most fashion-fearing, fatigued multi-tasking mother, yummy or otherwise. Each page of this beautifully presented, gently humorous treasure takes the reader on a whimsical journey through mummy’s collection of footwear, from the sensible to the simply sublime. Fashionistas will enjoy playing spot the Choos, Manolos or Miu Mius amongst jewel-encrusted moon lit skies and tropical rainforests, and for the children there’s a little red shoe hidden on each page. This delightful story is ultimately about more than just shoes, it’s an illustration of love. A must for every grown up little girl who remembers the world of magic within mummy’s wardrobe, and perfect for sharing with the next generation of little feet tottering about in mummy’s heels and lipstick. Dear Clare, Thank you for the beautiful books, definitely something my boys all agree on! It was lovely to spy my shoes beautifully illustrated thank you for including me. Warm regards, Charlotte. The sound of clomping coming down from my bedroom is a sure indicator that my six year old and her friend are, once again, in my closet. My Mummy Loves Shoes is a celebration of something that every girl, big or small, can relate to. We love to celebrate clever New Zealander’s! “My Mummy Loves Shoes” is a beautiful children’s book written and illustrated by NZ author Clare Grove on our favourite subject!! Oh the trouble I’d be in if I had been exposed to such beautiful things in print so early on in life. It’s going to become a yummy mummy baby shower essential. You heard it here first. Clare Grove has a problem: a shoe problem. 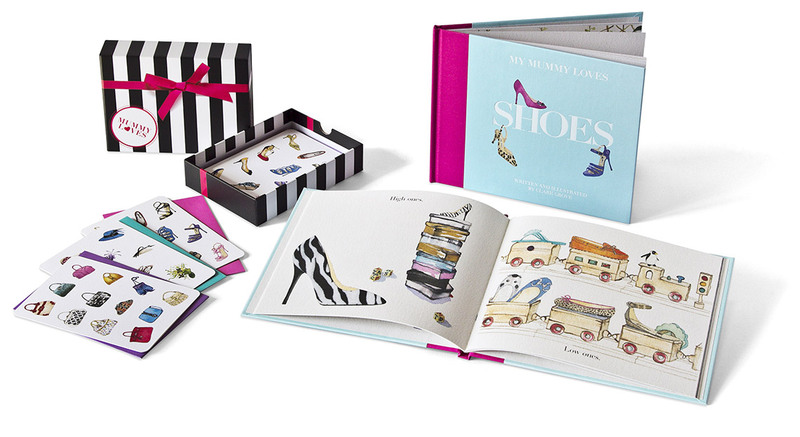 Her first book, My Mummy Loves Shoes which features watercolours depicting one mother’s envy-inducing collection of footwear. The book has been a hit – a fashion editor at British Vogue even ordered a copy. Sunday Dress – One of the most fabulous things to come across my desk recently is a book by Auckland based author and illustrator Clare Grove, My Mummy Loves Shoes. Definitely worth checking out for every budding fashionista out there.